Villa Sofia is a villa with large terrace, garden and swimming pool. It is located between the hills of Langa and Monferrato in the Unesco area, typical for the quality of wines and truffles. 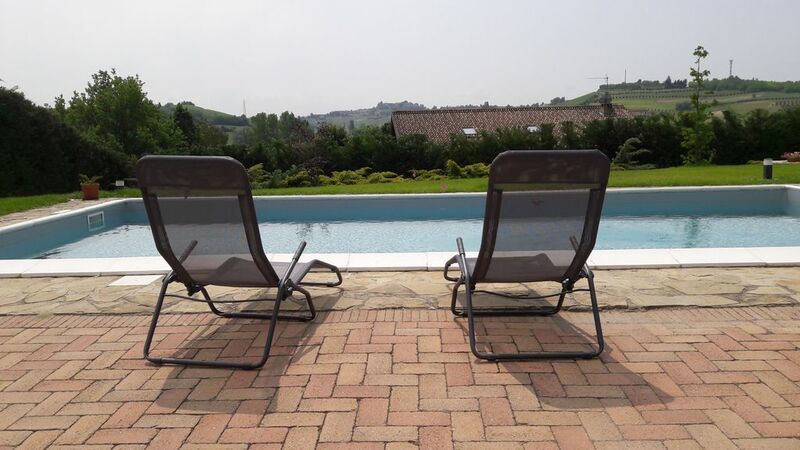 It is located 20 kilometers from Alba, 12 kilometers from Asti and 25 from Acqui Terme. The house has lcd tv, washing machine, dishwasher microwave oven, bed linen and towels. It has a large outdoor area for dining outside, barbecue, garden and parking. You can organize hiking or cycling in the hills, horseback riding or relax in the spa and massage of the nearby SPA, taste typical dishes.